After garnering worldwide critical acclaim and winning multiple awards, including Best Director at Cannes Film Festival , Best Director and Best Film at the European Film Awards, Cold War’s anticipated entry to Oscar Nominations 2019 has come true. Paweł Pawlikowski’s brilliant black and white Polish romantic film has received three Academy Award nominations for Best Director, Best Cinematography and Best Foreign Language Film. Cinestaan Film Company, who are one of the Executive Producers of the film have brought this multi award winning title to India, with its first premiere at MAMI last year and subsequently has gone onto screen at 6 other Indian festivals. Cinestaan Film Company is in the process of negotiating deals that will lead to all of India being able to love this extraordinary film. Chairman Cinestaan Film Company, Rohit Khattar said, "We are delighted for this beautiful film to have been recognised by the Academy with 3 Oscar nominations, which are truly deserving. 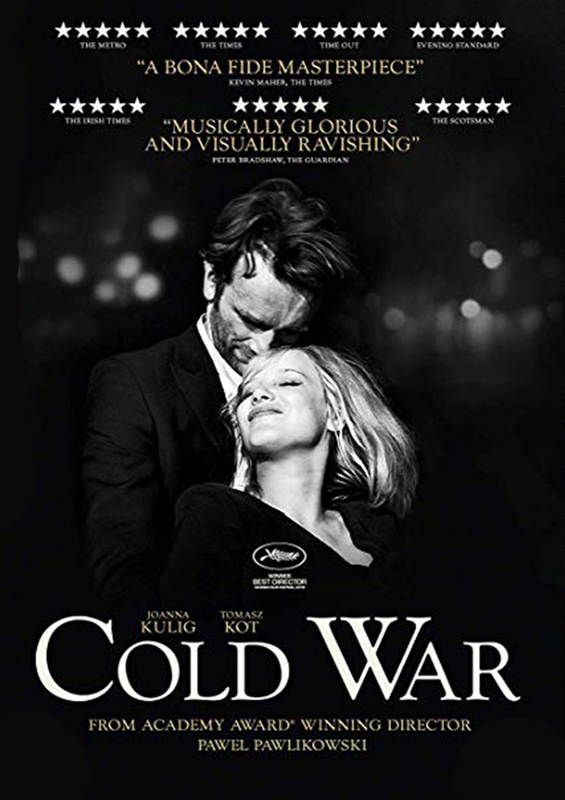 Our fingers are crossed and we wish all success to Director Paweł Pawlikowski and the entire team of Cold War!" Winning the Oscar isn’t something new to veteran director Pawlikowski. For his film Ida, he accepted the 2015 Oscar for Best Foreign-Language film, which had also been nominated for its cinematography. Cold War is a love-story set in the background of the Cold War in the 1950s, mapping Poland, Berlin, Yugoslavia and Paris and tracing a pair of humans meant to be together but destined to be apart. Cinestaan Film Company is a boutique film studio committed to championing stories that resonate with global audiences. It has offices in Mumbai, Delhi, London and Los Angeles. By building an international brand for films with an India connect, Cinestaan strives to nurture and continue India’s rich cinematic legacy, supporting both national and international cinemas. Currently there are several films under development. Cinestaan Film Company develops, produces, sells and distributes films across the world. C International Sales, its Sales Agency, has successfully represented critically acclaimed films including “A Death in the Gunj” and “Hotel Salvation” (Mukti Bhawan) internationally which has been released in over 30 countries and is taking a new slate of films including Gully Boy to the Berlin Film Festival. Its overseas JV with AA Films, Cinestaan AA Distributors, distributed “Baahubali 2: The Conclusion” in key overseas territories. Followed by the worldwide distribution of “Sachin: A Billion Dreams” , “Sonu Ke Titu Ki Sweety” ,"Bucket List", “Stree”, "Badhaai Ho", "KGF" and now "Gully Boy". Cinestaan Film Company is a boutique film studio committed to championing stories that resonate with global audiences. By building an international brand for films with an India connect, Cinestaan strives to nurture and continue India’s rich cinematic legacy, supporting both national and international cinemas. C International Sales is our sales division and Cinestaan AA Distributors is the overseas distribution subsidiary which is a Joint Venture with AA Films. 1127 9th St. - Suite 104. Santa Monica, CA 90403. U.S.A.